Random Lengths News: “Her acting that keeps us engaged. 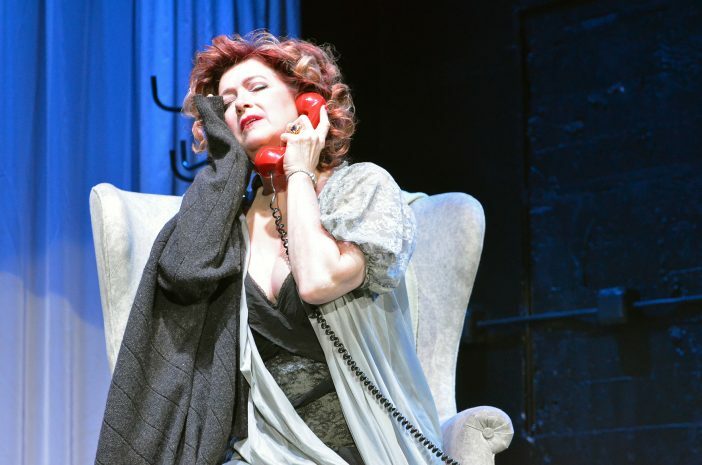 Elle’s emotions run the gamut from forgetful reverie to abject misery when the reality of her situation comes back to her, emotions often arrested in midsentence due to the many losses of connection across the telephone line. Hanson is not alone onstage but is accompanied by pianist Kristof Van Grysperre, another LBO regular—and with good reason. The jagged nature of Poulenc’s score relies upon a synchrony between vocals and piano, and here the two performers animate La voix humaine as one.” http://www.randomlengthsnews.com/la-voix-humaine-long-beach-opera/.